If you’re suffering from pain, our qualified team can help. Pain is the main reason why most people first come to see us. Neck pain, back pain, migraines, shoulder pain and sciatica (leg pain) are the most common reasons. It’s important to explain that Chiropractic does not simply treat pain but in fact treats the underlying causes of many types of pain and symptoms that are associated with musculo-skeletal dysfunction, poor posture and the effects of stress. 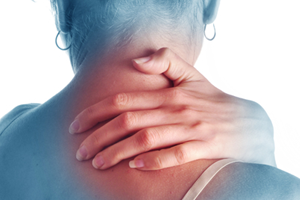 The main type of treatment our Chiropractors provide is a spinal adjustment (often referred to as manipulation). The spinal adjustment helps to restore function in the spine, relieve inflammation and muscle tension as well as removing nerve compression. The normal short term reaction to the spinal adjustment is a reduction in pain. At Beach House Chiropractic we also offer Sports Massage, Low Level Laser Therapy and Medical Acupuncture to relieve chronic and acute aches and pains. In addition to treatment, our Chiropractors will provide the latest self-help advice to reduce pain, such as how to use ice packs effectively, specific exercises to help improve your posture along with essential lifestyle recommendations if appropriate. TW Meade 1990 & follow up study 1995. The NICE guidelines (2009) also recommend spinal manipulation for persistent lower back pain. Call us today to book an appointment on (01903) 66 00 94.